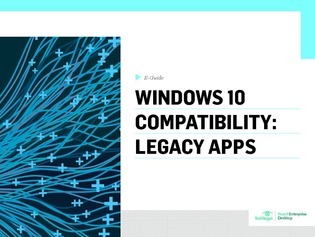 As you move closer to implementing Windows 10 throughout your organization, it is important to remember that many end users rely on legacy applications to do their jobs. In order to ensure that users are still efficient, you need to test whether critical apps are Windows 10 compatible. This e-guide walks you through the process to ensuring that your employees will remain productive in the Windows 10 environment without having to implement all new applications.